Russia’s Alrosa (MCX:ALRS), the world’s top diamond producer by output in carats, said Tuesday that the rescue teams working on trying to reach the area of the company’s underground mine in Siberia where four of eight missing miners might have been working during a partial flood this month, have quit the search. 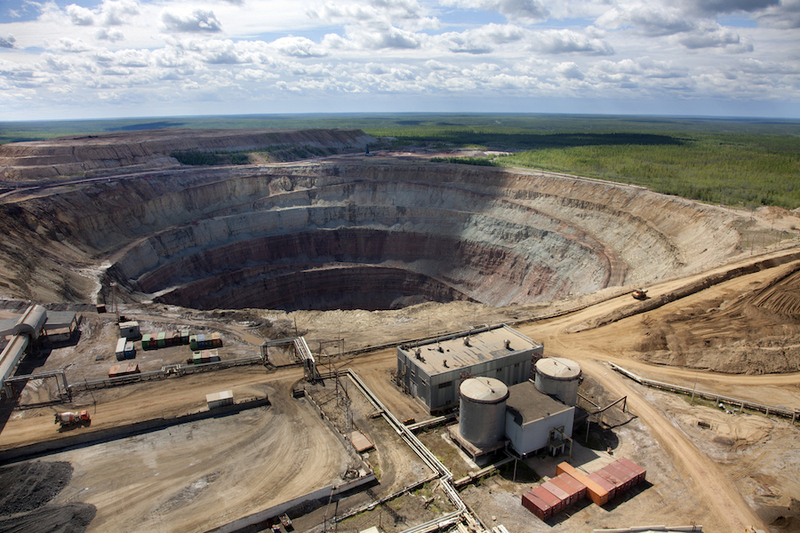 Alrosa began searching for eight missing miners on Aug. 4, right after its iconic Mir mine in eastern Siberia was partly flooded by water from an open-pit mine above it. “High water level in the mine shaft makes it impossible to carry out further search and rescue operation on level – 310,” the company said in the statement. “According to electronic tags on all the miners’ helmets, four of eight missing miners were supposedly located on that level at the time of the accident,” it noted, adding that the more than 3 feet of water in the area makes it too risky for rescuers to continue efforts there. The state-owned diamond miner began searching for eight missing miners on Aug. 4, right after its iconic Mir mine in eastern Siberia was partly flooded by water from an open-pit mine above it. At the time, there were 151 miners underground. A total of 142 workers were safely brought to surface on the same day, and one more was evacuated the following day. Since then there has been a 24/7 hunt for the missing eight miners believed to be in two locations, four on level 310 and four more at level 210, where rescue operations continue. The company has said it will be some time before it can define when the Mir operation, which accounts for about 9% of its annual diamond output, will come on line. However, the miner doesn’t think its 2017 production target will be affected by the accident at Mir, as it plans to use other mines to compensate for a decline in output.